Steve was a classic ’60s American guy, full of generosity and love for anyone he met. Every time he put his sax to his lips and honked, he lightened my road and brightened the whole world. He was a credit to his group and his generation. To know him was to love him. In the late 1960s, Iggy Pop had a problem. He was the frontman of a band — the Stooges — that would become legendary, but they weren’t legendary yet. … In an attempt to bolster his band’s already notoriously brash, confrontational sound, he hired saxophonist Steve Mackay. Mackay’s marching orders: … “I want you to play like you are Maceo Parker, but you took LSD,” Mackay, in an interview last year, remembered Iggy said. Mackay rose to the occasion. He made other records and performed with a succession of different musicians, but none had the impact of the songs he recorded with the Stooges for their 1970 album Fun House. 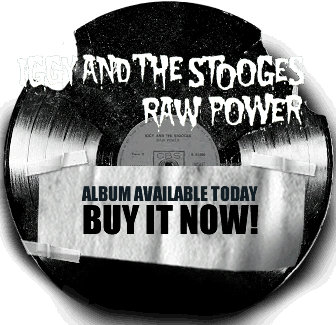 … He joined the re-formed Stooges in 2003, refusing to rehearse with the band before joining them onstage at Coachella. … Their reunion prompted a resurgence of specific interest in Mackay: as well as the Stooges, he played with Jarvis Cocker, formed an experimental band called Estel with latterday Stooges bassist Mike Watt and released several solo albums on which the sense of a musician with his willingness to experiment – the same impulse that had led him into the studio with the Stooges in the first place – still entirely intact, was hard to miss.